January 1, 1940 Monthly benefits first became payable under old-age and survivor’s insurance to aged retired workers and their dependents and to survivors of deceased insured workers. The Federal Old-Age and Survivors Insurance Trust Fund was established as a separate account in the United States Treasury to hold the amounts accumulated under the old-age and survivors insurance program. Basic provisions for hearing and review instituted by the Social Security Board under authority to establish procedures, hold hearings, and take testimony in relation to determination of rights to old-age and survivors insurance benefits (Office of Appeals Council). January 18-20, 1940 The White House Conference on Children in a Democracy was held; Aid to Dependent Children was discussed. January 31, 1940 Ida M. Fuller became the first person to receive an old-age monthly benefit check under the new Social Security law. She paid in $24.75 between 1937 and 1939 on an income of $2,484. Her first check, dated January 31, was for $22.54. February 13, 1940 An Appeals Council, consisting of three members, was appointed by the Social Security Board to direct and supervise the holding of hearings on claims for old-age and survivors insurance benefits and to review decisions of referees, subject to review by the courts. Joseph McElvain was appointed the director. The staff of the Appeals Council included a Consulting Referee for the Old-Age and Survivors Insurance program as a whole and a Hearing Referee for each of the twelve regions. May 17, 1940 The Social Security Board established regulations relative to entitlement to and computation of benefits, adjustment of overpayments and underpayments, procedures and penalties. June 1940 All States, the District of Columbia, Alaska, Hawaii and Puerto Rico were actively participating in programs providing child welfare services under the Social Security Act. June 30, 1940 The Federal Security Agency under the President’s Reorganization Plan No. IV was enlarged to include the Food and Drug Administration, transferred from the Department of Agriculture, and St. Elizabeth’s Hospital, Freedman’s Hospital, Columbia Institution for the Deaf, and Howard University, transferred from the Department of the Interior. July 1940 The Report on Migratory Labor, presented to the President by the Interdepartmental Committee to Coordinate Health and Welfare Activities, recommended the extension of social insurance programs to agricultural labor. July 2, 1940 The Railroad Unemployment Insurance Act was amended. One amendment was extended to July 1, 1942, the final date on which action could be taken by certain States to transfer from their accounts in unemployment trust fund to railroad unemployment insurance account amounts provided under Section 13(d) of the Railroad Unemployment Insurance Act. Under this amendment, the Social Security Board was enabled to continue payment of administrative expenses for unemployment compensation in any State whose highest court had declared unconstitutional State legislation authorizing the transfer of funds. July 11, 1940 The Bureau of Employment Security was designated a defense agency. August 13, 1940 The Coal Mining Coverage Act was approved. It provided for more uniform coverage of certain persons employed in coal mining operations with respect to social insurance benefits under the Social Security Act. September 5, 1940 Isidore S. Falk was named the Director of the Bureau of Research and Statistics, replacing Ewan Clague who had served since 1937. September 14, 1940 The President recommended to Congress legislation designed to protect the social insurance rights of workers called into military service. October 8, 1940 The Federal Unemployment Tax Act was amended by the Second Revenue Act of 1940 to permit employers to credit, against that tax for 1936, 1937, 1938 or 1939, contributions paid by them under State unemployment compensation laws at any time within 60 days after date of enactment. October 8, 1940 The Social Security Board established regulations relative to determinations and decisions, hearing and review of matters affecting payments and revision of wage records, certification of payments, and representation of parties. October 10, 1940 The Railroad Unemployment Insurance Act was amended to change the benefit structure, definitions of employment and benefit year, disqualification provisions, and administrative procedures. October 21, 1940 The Appeals Council of the Social Security Board, after reviewing an appealed referee decision relating to a claim for old-age and survivors benefits, handed down its first decision. November 28, 1940 The National Defense Council, with the approval of the President, designated the Federal Security Administrator as coordinator of all health, medical, welfare, nutrition, recreation, and related fields of activity affecting the national defense. The Health and Medical Committee was transferred to the Federal Security Agency. December 8-11, 1940 Arthur J. Altmeyer went to Lima, Peru to develop Pan American cooperation in Social Security. Following the meeting, a temporary Inter-American Committee on Social Security was formed. December 23, 1940 Public Assistance principles and standards for fair hearing procedure were adopted by the Social Security Board to attain uniform interpretation of the Social Security Act’s requirement that opportunity for fair hearing to dissatisfied applicants or recipients be provided under approved State plans, and to assist State agencies in clarifying and revising procedures. 1940 During the year, the first United States Social Security payments were made to 100 beneficiaries living abroad. January 6, 1941 The President’s State of the Union message recommended that coverage of the two social insurance programs be extended, opportunities for medical care be widened and plans made for a better employment system to assure work for persons needing gainful employment. January 14, 1941 The Social Security Board adopted revised minimum standards for partial unemployment benefits, effective June 1, 1941, for administration by State employment security agencies. February 4, 1941 The Social Security Board approved a statement of policy, relating to the consideration of income and resources in the determination of the need of an applicant for public assistance and to guide State agencies in conforming to the requirements called for by amendments to the Social Security Act. February 7, 1941 The Rehabilitation Coordinating Committee was established within the Federal Security Agency, by order of the Administrator. It was charged with continuing the development of a program of coordination among the various Federal services engaged cooperatively with State governments in the general field of service to the disabled. February 11, 1941 The appointment of The Interdepartmental Advisory Committee was announced by the Administration of the Federal Security Agency to assist and advise him in his capacity as Coordinator of Health, Welfare and Related Defense Activities. Regional directors of the Social Security Board have named as regional defense coordinators to act as chairmen of 12 regional advisory councils, each composed of regional representatives of all Federal agencies concerned. February 12, 1941 The Family Security Committee, under the chairmanship of the Director of the Bureau of Public Assistance of the Social Security Board, was established by the Coordinator of Health, Welfare and Related Defense Activities to act in an advisory capacity to the Coordinator. February 26, 1941 The Bureau of Public Assistance was designated a defense agency. March 17, 1941 The Report of the National Resources Planning Board was submitted to the President. April 11, 1941 The Social Security Board was designated a defense agency. April 25, 1941 The Social Security Board adopted a statement of standards for safeguarding information concerning applicants and recipients of public assistance, for guidance of State agencies. June 1,1941 Revised minimum standards for the administration of partial unemployment benefits was adopted by the Social Security Board and became effective this date. June 20, 1941 A special Senate Committee to Investigate the Old-Age Pension System was authorized to make a full study of old-age assistance and old-age and survivors insurance provisions of the Social Security Act, as amended, and of ways and means for bringing about the early realization of a minimum pension for all aged persons who were not gainfully employed. July 1,1941 The provisions of the Social Security Act Amendments of 1939 became effective, requiring that a State agency which administers the program shall, in determining need, take into consideration any other income and resources of an applicant for assistance, and provide safeguards to restrict the use or disclosure of information concerning applicants and recipients to purposes directly connected with administration of the program. Also effective this date were the provisions requiring that State laws include a provision that Federal funds received as administrative grants be expended solely for the purposes and in the amounts found necessary by the Social Security Board for proper and efficient administration, and that funds lost or expended for purposes other than, or in amounts in excess of, those found necessary by the Board be replaced within a reasonable time. July 2, 1941 The Social Security Board approved an amendment of Section 403 702 (b) of Regulation No. 3 concerning evidence of the age of an applicant for old-age and survivors insurance benefits. Under this amendment, secondary evidence of age was declared admissible by a mere showing that primary evidence was not readily available. July 21, 1941 The operation of Arizona’s employment service offices was taken over by the Social Security Board under arrangement between the Board and the Arizona Employment Security Commission. Thus, the State Commission was to pay unemployment compensation benefits through employment service offices operated by the Board. July 29,1941 The Social Security Board approved a draft copy of a reciprocal arrangement with the Dominion of Canada for handling unemployment contributions and benefits and also procedures for the transmittal of the agreement and the official adoption by both Governments. August 7, 1941 The reappointment of George E. Bigge as a member of the Social Security Board was confirmed by the Senate for a term ending August 13, 1947. September 3, 1941 The Office of Defense, Health and Welfare Services was established by the President to supersede the Office of Coordinator of Health, Welfare, and Related Defense Activities (November 28, 1940). September 15, 1941 The program for making a substantial decentralization of adjudicative functions of the Bureau of Old-Age and Survivors Insurance became effective. Field offices assumed full responsibility for the reconciliation of wages, the development of claims, and the computation of benefit amounts; their determinations were subject to review in central office. September 20, 1941 The Federal Unemployment Tax Act and the Social Security Act were amended by the Revenue Act of 1941 to permit employers to credit against Federal unemployment tax for the calendar years 1936-1940, contributions, paid by them, under State unemployment compensation laws, before the 60th day after the date of enactment of the Revenue Act of 1941, if such claim was made within six months of that date. September 23, 1941 The Social Security Board approved amendments to Sections 403.601 and 403.811 of Regulations No. 3 providing (1) that a penalty deduction from benefits which has not been made at the time of termination of benefits will not be considered an overpayment and need not require deduction from survivor benefits or restitution from the beneficiary’s estate; and (2) that persons employed by partnerships composed wholly of relatives designated in the family employment exception of the Social Security Act were to be excluded from coverage when the individual’s relationship to each partner was as designated in the exception. September 30, 1941 The Social Security Board approved a revision of Section 403.834(c) of Regulations No. 3, to the effect that, when the husband has been ordered by any court of competent jurisdiction to contribute to his wife’s support, such order shall be considered as in full force and effect unless it has expired or has been vacated. November 4, 1941 The Social Security Board adopted a policy permitting Federal financial participation in payments based on State plans that include grants enabling a recipient to meet the cost of care in a public hospital, provided that such care is not available to recipients of public assistance without charge, payments are not conditional, and care is not expected to extend beyond 90 days. November 7, 1941 The Social Security Board ruled that wages paid for employment during 1937, with a State chartered member of the Federal Home Loan Bank System or State member banks of Federal Reserve System, be included in determining insured status and the amount of benefits in all pending and future claims for benefits. November 24, 1941 The United States Supreme Court held unconstitutional the California legislation prohibiting any individual from assisting nonresident indigent persons to come into the State. December 1, 1941 Oscar C. Pogge was named the Acting Director of the Bureau of Old-Age and Survivors Insurance. He succeeded John J. Corson, who was appointed to the newly-created position of Director of the United States Employment Service. December 4, 1941 The Committee on Long Range Work and Relief Policies of the National Resources Planning Board transmitted to the President a comprehensive report “Security, Work and Relief Policies.” This report advocated the addition of an insurance system that would provide disability and sickness benefits. December 8, 1941 The work week was extended to 48 hours, after the attack on Pearl Harbor. December 19, 1941 The national operation of the United States Employment service, effective January 1, 1942, was requested by the President. Telegrams were sent to the governor of each State and Territory declaring that the war program necessitated the establishment of a single centrally-directed organization to ensure effective utilization of all labor resources. December 31, 1941 The Social Security Board approved amendments to Section 403.702(b), (a), and (d) of Regulations No. 3 concerning certification of records by Board employees. Under this amendment, designated field office employees of the Board were authorized,in specified instances, to certify to the contents of records in situations in which such certification might be made by the custodian of such records. December 31, 1941 The Social Security Board certified to the Secretary of the Treasury all 51 jurisdictions as having approved unemployment compensation laws permitting employers to credit against 90 percent of the Federal unemployment tax for taxable year 1941 amounts paid as contributions under State laws. January 1, 1942 The States turned over to the Social Security Board the operation of the State-administered employment offices to effect the fullest utilization of the nation’s labor supply. January 5, 1942 The constitutionality of coverage under Pennsylvania’s unemployment compensation law of employers engaged in interstate commerce was upheld by the United States Supreme Court, since such coverage did not trespass on Federal jurisdiction but was authorized by Federal law. January 12, 1942 Executive Order No. 9017 established the War Labor Board to minimize strikes and lockouts. January 13, 1942 The Social Security Board agreed to share administrative expenses of State public assistance agencies incurred in services of an exploratory and organizational nature for war or defense purposes, even though such activity may not have been concerned directly with the assistance program on which the employee normally worked. February 6, 1942 The Social Security Board approved an amendment of Section 403.831 of Regulations No. 3 to permit a claimant to qualify for widow’s insurance benefits, if she is the mother of an insured wage earner’s child or was married to a wage earner a year before his death, without requiring also that she meet the added requirements of “wife” as defined elsewhere in the law. February 6, 1942 President Roosevelt issued an order to the Federal Security Agency to create the Civilian War Benefits and Civilian War Assistance programs and for aid to enemy aliens (principally, to remove them to internment sites). The President’s order allocated $5,000,000 from the President’s Emergency Fund for these purposes. The Social Security Board was delegated this responsibility by the FSA. February 9, 1942 The Social Security Board was given certain responsibilities in the program for aid to enemy aliens removed from the West Coast. February 10, 1942 The Social Security Board authorized State public assistance agencies to release to selective service boards information relevant to dependency obtained from the Bureau of Old-Age and Survivors Insurance. February 26, 1942 The Social Security Board was authorized to administer monthly benefits, assistance, and services to civilians affected by enemy action; hospitalization and medical care were made the responsibility of the Public Health Service. March 3, 1942 The Social Security Board delegated to the Bureau of Old-Age and Survivors Insurance responsibility for administering a temporary system to provide monthly benefit payments to dependents residing in continental United States or civilians affected by enemy action occurring outside the continental United States. March 11, 1942 The Federal Security Administrator authorized the Social Security Board to utilize funds for assistance payments to needy civilians evacuated from Hawaii or Alaska. March 17, 1942 The Social Security Board ruled: (1) that original determination of benefit awards, when based upon an obvious mistake of fact or law, shall be reopened retroactively and payments already made recovered or adjusted unless recovery or adjustment is waived under Section 204(b); and (2) that original determination of benefit awards, when not based upon obvious mistake of fact or law and not wholly arbitrary or unreasonable but no longer representing the position of the Board, shall in any event be reopened prospectively only and shall not be reopened at all if the beneficiary, who relied upon original determination, would be irreparably damaged by such reopening. March 20, 1942 The Social Security Board certified the first civilian war benefits-chiefly for dependents of workers on Guam and Wake Island. April 6, 1942 The United States Supreme Court upheld the validity of the “common control” provision of Mississippi’s unemployment compensation law by dismissing the appeal of a Mississippi employer from a decision by the Mississippi Supreme Court which had held an employer liable for contributions under the State unemployment compensation law because he had exercised control of two businesses with a total of ten employees. April 12, 1942 An agreement became effective between the United States and Canada for coordinating and integrating the unemployment insurance of the two countries to avoid duplicating contributions and benefits. April 18, 1942 The War Manpower Commission was established by Executive Order with the Federal Security Administrator as Chairman. April 28, 1942 The Social Security Board approved the release of information for war related purposes by State public assistance agencies under proper safeguards and in consideration of their own laws and standards. April 29, 1942 Rhode Island became the first State to enact a sickness compensation law, providing cash sickness benefits for workers covered by the State Unemployment Compensation law. May 5, 1942 Arthur J. Altmeyer, Chairman of the Social Security Board, was appointed Executive Director of the War Manpower Commission. He continued his duties on the Social Security Board. May 16, 1942 The administration of Federal Credit Unions was transferred by Executive Order of the President from the Farm Credit Administration to the Federal Deposit Insurance Corporation. May 22, 1942 The Social Security Board amended Section 403.202 or Regulations No. 3; in determining old age and survivors insurance benefit rights, each quarter for which a person was paid wages of not less than $50 in covered employment would be counted for purposes of determining “currently insured” status, notwithstanding the $3,000 limitation. June 1, 1942 The central office of the Bureau of Old-Age and Survivors Insurance moved from Washington, D.C., to Baltimore, Maryland; decentralization of claims adjudication review and benefit payment operations was inaugurated with the opening of the first area office in Philadelphia, Pennsylvania. A Bureau Personnel Office was established as an incident to the war time decentralization of the Bureau to Baltimore. June 5, 1942 In cases involving a question of coverage under the Railroad Retirement Act or the old-age and survivors insurance program, the Social Security Board decided to pay monthly old-age and survivors insurance benefits unless the Railroad Retirement Board was making a current payment on the basis of the same wage record. Lump-sum payments would be made only if the Railroad Retirement Board was not making such a payment. June 23,1942 The Servicemen’s Dependents Allowance Act of 1942 was approved. It provided family allowances for dependents of enlisted men of the Army, Navy, Marine Corps, and the Coast Guard. June 26, 1942 The Social Security Board agreed to a Treasury Department request to shift the payment date for Social Security checks from the first of the month to the fifth. This was a war-mobilization action designed to reduce government demands on the Federal Reserve system at a time when it was trying to cope with many new demands for war-related payments. July 1, 1942 The Social Security Board authorized continuing assistance, when necessary, on a month-to-month basis, for persons receiving temporary aid under temporary civilian assistance and enemy-alien allocations. July 1, 1942 The Bureau of Old-Age and Survivors Insurance opened an area office in New York City. July 3,1942 The Social Security Board approved a formula which would charge to programs other than those under Titles I, IV and X of the Social Security Act that portion of merit system costs incurred in connection with holding examinations, establishing and maintaining eligible registers and certifying persons from such registers which was attributable to employees working full time on such programs. July 14, 1942 The Social Security Board approved an interpretation of residence requirements under public assistance programs indicating that the Social Security Act referred to residence only, and not to settlement or domicile, insofar as such terms are more restrictive than residence. The Board ruled that a State may not discontinue assistance because a recipient was temporarily absent from a State or because a recipient moved from one locality to another within a State. July 24, 1942 The first field office of the War Manpower Commission opened in Baltimore, a critical labor supply area. August 1, 1942 The Bureau of Old-Age and Survivors Insurance opened an area office in Chicago, Illinois. August 1, 1942 Oscar C. Pogge was named the Director of the Bureau of Old-Age and Survivors Insurance. August 28, 1942 Emergency grants to States was authorized for programs for day care for children of working mothers under plans approved by the Children’s Bureau and the Office of Education, administered by the Works Projects Administration. September 1, 1942 The Bureau of Old-Age and Survivors Insurance opened area offices in New Orleans, Louisiana, and San Francisco, California. The Social Security Board directed the transfer of the Regional Office for Region VII from Birmingham, Alabama, to Atlanta, Georgia, effective October 1, 1942; it also authorized the transfer of the State of Arizona from Region XI to Region XII. September 4, 1942 A Women’s Policy Committee was created to assist the War Manpower Commission. September 10, 1942 The Inter-American Conference on Social Security opened in Santiago, Chile, under auspices of the Chilean government, with the Chairman of the Social Security Board, Arthur J. Altmeyer, as Chairman of the United States delegation. A permanent Inter-American Committee on Social Security was created. September 17, 1942 The Chairman of the War Manpower Commission announced the appointment of three new regional directors. The former regional director of the Social Security Board’s Region II, was appointed regional director for the Commission for the analogous region, New York State. The other two directors were appointed for Region I–New England, and Region X–Texas, New Mexico and Louisiana. September 17, 1942 The United States Employment Service, National Youth Administration, apprenticeship training service, and training-within-industry service were transferred to the War Manpower Commission, by Executive Order, thus consolidating all authority over employment and employment training within the Commission. September 1942 The headquarters of Region VII were moved from Birmingham to Atlanta to coincide with the War Manpower Commission headquarters. Also, Arizona was transferred from Region XI to Region XII. October 3, 1942 Executive Order No. 9250 assigned administration of the wage stabilization program to the War Labor Board. October 5, 1942 President Roosevelt expands the Civilian War Benefits programs to include civil defense and related workers residing in the United States. October 9, 1942 The President asked Congress to establish within the Federal Security Agency a single rehabilitation service as central authority to coordinate and expand State and Federal services for rehabilitation of civilians and military personnel. October 15, 1942 Arkansas inaugurated a plan for services to children of working mothers. (By December 31, similar programs were in operation in seven other States. November 5, 1942 In accord with the President’s request, the Federal Security Administrator authorized the Social Security Board (1) to pay disability benefits to civilians who had been injured in the performance of certain civilian defense activities or who had sustained injuries as a result of enemy action occurring after December 6, 1941, (survivor benefits were to be paid to survivors of such defense workers and other civilians who died from such injuries), and (2) to expand the temporary civilian war assistance program. November 25, 1942 The Social Security Board approved the following recommendations for treating the income of employed recipients: That the States be encouraged (1) to determine, upon a reasonable basis, the minimum amount which any recipient of public assistance who is an actual or potential worker may be considered to need to cover expenses incident to employment; (2) to include the amount so determined in requirements of all employed or potential workers who are recipients of public assistance; and (3) to make additional provision for the needs incident to employment that may exceed the minimum. December 1, 1942 Sir William Beveridge’s report, “Social Insurance and Allied Services,” was submitted to Parliament on December 1, 1942. It called for: (1) a scheme of all-in social insurance for cash benefits; (2) a general scheme of children’s allowances both where the responsible parent was earning an income and where he or she was not earning an income; and (3) an all-in scheme of medical treatment of every kind for everybody. December 2, 1942 Public Law No. 784 enacted which codified and amended the Civilian War Benefits programs. December 4, 1942 President Roosevelt ordered the liquidation of the W.P.A., and termination of project operations by February 1, 1943, or as soon thereafter as feasible. December 7, 1942 Arthur J. Altmeyer resigned as Executive Director of the War Manpower Commission and assumed the position of a member representing the Federal Security Agency. December 18, 1942 The Social Security Board amended Section 403.711(a) and (b) of Regulations No. 3 to authorize referees of the Appeals Council to extend the time within which a request for a hearing could be filed; and to authorize referees to revise their own decisions when it clearly appeared that there was an error of fact or law in a decision or that a decision was procured by fraud or misrepresentation. January 7, 1943 A post-war world which would furnish “assurance against the evils of all major economic hazards – assurance that will extend from the cradle to the grave” was envisioned by President Roosevelt in his message on the State of the Union, as one of two broad aims beyond the winning of the war. March 10, 1943 A proposal for Social Security coverage for the armed forces and for a comprehensive post-war system of Social Security was sent to Congress by President Roosevelt. March 26, 1943 The first disability payment under the Civilian War Benefits Program was made to a civilian defense worker. January 18, 1943 The Supreme Court, upholding the conviction of American Medical Association and the District of Columbia Medical Society for violation of the Sherman antitrust law, declared that a cooperative enterprise organized to procure medical services for its members is engaged in business or trade and that professional bodies may be prosecuted for obstructing such business. January 19, 1943 Mexico’s Social Insurance Act was promulgated. It authorized a program of compulsory insurance against the risks of occupational accidents and disease, sickness, maternity, invalidity, old age, and death for all workers employed in the mining industry, transportation and commerce, and their dependents. Non-covered workers could insure on a voluntary basis, and all workers could contribute toward supplementary insurance. January 20, 1943 In Uruguay, insurance coverage against risks of old age, unemployment, disability, and death of the wage earner was extended to all agricultural workers, including employers. March 1, 1943 A ruling was issued that a company ordered by the National Labor Relations Board to reinstate employees with back pay could not deduct unemployment benefits received by the employees while idle. March 16, 1943 Two comprehensive proposals for social security in Canada were submitted to a special committee of the House of Commons by Ian McKenzie, Pensions Minister. The first was a draft measure to provide a compulsory nationwide system of health insurance; the other, a report on a comprehensive system of social security to assure a minimum standard income to every family. March 18, 1943 A program of medical and hospital care for wives and infants of enlisted men in the four lowest grades of the armed forces was authorized to be administered by the Children’s Bureau, through Federal grants to State health departments. March 20, 1943 A Commonwealth Act establishing a National Welfare Fund was assented to in Australia. The Act provided that moneys in the fund be used for health services, unemployment or sickness benefits, family allowances or other social services, including maternity allowances and funeral benefit for pensioners. March 24, 1943 An act was passed to permit the War Shipping Administration, as the employer of seamen serving on vessels owned or chartered to the United States, to pay the employer’s payroll tax for old-age benefits without regard to the $3,000 limitation placed upon the amount of wages subject to that tax. April 29, 1943 The Office of Defense, Health, and Welfare Services was abolished by Executive Order No. 9338. Its functions, duties and powers were transferred to the Federal Security Agency. Under this Order, the Federal Security Administrator established within his office an Office of Community War Services and a Committee on Physical Fitness. May 24, 1943 Oscar C. Pogge resigned as Director, Bureau of Old-Age and Survivors Insurance, when John J. Corson was reappointed to the position. June 3, 1943 The first “Wagner-Murray-Dingell” bill was introduced. The bill provided for major changes in the Social Security Act, including disability benefits, and creation of a compulsory national health insurance program for all people. The program was to have been financed through a payroll tax. Congress took no action on the proposal. June 9,1943 Legislation enacted permitting States to continue payments to old age assistance recipients at the rate paid in July 1943, without regard to any increase in resources from wages earned in agricultural employment. June 9,1943 The American Medical Association created the Council on Medical Services and Public Relations to study the economic aspects of health on a national scale and to develop alternative plans to the compulsory health insurance plans being introduced into the Congress. June 30,1943 With liquidation of projects of the W.P.A. and student work program of the National Youth Administration, Federal financial participation in public aid limited to public assistance under the Social Security Act. July 5, 1943 Reappointment of Mrs. Ellen S. Woodward of Mississippi as a member of the Social Security Board confirmed by the Senate for the term expiring August 13, 1949. July 6,1943 Amendments to the Vocational Rehabilitation Act established the Office of Vocational Rehabilitation in the Federal Security Agency. July 6,1943 The existing Vocational Rehabilitation program was greatly expanded to include operation under State principles approved by the Federal Security Administrator. Federal grants to States were to cover all administrative costs, costs of all services for war disabled civilians, and half the costs of services to other civilians. July 8,1943 Regulations issued by the Treasury Department for preferential income tax treatment of employees’ pension, stock bonus, and profit sharing trusts provided that plans which differentiate between employees above and below a given level of earnings had to be integrated with the social security system to prevent disproportionate benefits to the higher-paid employees. July 12,1943 A Social Security Board ruling was issued that stated: when a State agency operated under a State merit system established by legislative enactment, the moneys appropriated under the Social Security Act for grants to the States for the fiscal year 1943-1944 could not be withheld by the Social Security Board for the Children’s Bureau because those agencies disapproved of the personnel of the State agency, the manner of their selection, or their rates of pay. July 25, 1943 A new law became effective in Ecuador making social insurance obligatory for all public and private employees. The risks covered included sickness, maternity, invalidity, survivorship, old age, industrial accident and occupational disease. September 4, 1943 The establishment of an Office of Vocational Rehabilitation in the Federal Security Agency was announced. September 13, 1943 Hugh F. McKenna named Assistant Director of the Division of Field Operations, Bureau of Old-Age and Survivors Insurance. October 1, 1943 Regions II and III of the Social Security Board were consolidated in New York City. The action was in line with the Social Security Board’s effort to effect all possible savings in administrative costs. October 25, 1943 The Social Security Board’s Chairman outlined the principles and policies to be considered in including servicemen under old-age and survivors insurance and establishing a system of demobilization unemployment allowances. November 9, 1943 An agreement establishing the U.N. Relief and Rehabilitation Administration was signed by 44 representatives of the United Nations and other affiliated nations. December 22, 1943 Congress postponed for 60 days the increase in Federal Insurance Contributions scheduled for January 1, 1944. January 1, 1944 The Mexican social insurance act went into operation in the Federal District, It established a system of compulsory insurance covering risks of industrial accident and occupational disease, sickness and maternity, invalidity, old age and death, as well as providing for voluntary insurance of certain groups not included under the compulsory system. January 11, 1944 President Roosevelt outlined in his State of the Union Message, an “economic bill of rights,” which included “the right to adequate medical care and the opportunity to achieve and enjoy good health.” However, he did not make any subsequent proposal for health insurance. January 19, 1944 The Social Security Board, in its Eighth Annual Report to Congress, specifically called for compulsory national health insurance program to be incorporated into the Social Security system. February 14, 1944 An amendment to Title I of the Social Security Act provided that the States could continue to pay, with Federal participation, old-age assistance at the rate paid in July 1943 without considering additional income derived by recipients performing agricultural labor as part of their resources in determining need. February 17, 1944 A government White Paper on National Health Service recommended a comprehensive health program for Great Britain, including services of general practitioners, specialists, hospitals, and clinics, to provide all medical advice, treatment and care required by the British population. February 23, 1944 A program providing for family allowances on a noncontributory basis was begun in Ireland. February 24, 1944 A Retraining and Reemployment Administration was established in the Office of War Mobilization. April 1, 1944 Pensions were authorized for all physically or mentally helpless children of deceased veterans regardless of the age of the child at the date the claim was filed or at the time of the veteran’s death, provided the child was disabled at age 16 and the disability continued to the date of the claim. April 4, 1944 The Foreign War Shipping Crews Exclusion Act was approved (P.L. 17, 78th Congress). It amended Title II of the Social Security Act, providing coverage for officers and crew members who were employed on behalf of the United States through the War Shipping Administration. April 5, 1944 The United States District Court, Eastern District of Michigan, held that money paid to a widow, after the death of her wage-earner husband pursuant to a back-pay award by the National Labor Relations Board entered after the wage earner’s death, did not constitute wages as defined in the original Social Security Act because it was not remuneration for employment. April 13, 1944 Elizabeth A. Mulholland assumed the position of Personnel Director of the Bureau of Old-Age and Survivors Insurance. April 24, 1944 In ruling that newsboys are employees within the meaning of the National Labor Relations Act, the United States Supreme Court declared that the meaning of “employee” as used in the act must, in doubtful situations, be determined broadly by underlying economic facts rather than technically and exclusively by previously established legal classifications. If the Court ruled that the result of applying wholesale the traditional common-law conceptions as exclusively controlling limitations on the scope of the statutes effectiveness would hardly be consistent with the statute’s broad terms and purposes. May 11, 1944 An amendment to Veterans Regulation Number I (a) authorized that pensionable status existed for persons and dependents of persons who incurred disability or death in line of duty prior to final induction or acceptance for active military or naval service during the period from August 27, 1940 would continue until termination of the war. May 22,1944 Oscar C. Pogge was named Director of the Bureau of Old-Age and Survivors Insurance, replacing John J. Corson. May 26,1944 A British Government White Paper on Employment Policy outlined a program for maintaining a high and stable level of postwar employment through the maintenance of the total expenditure for goods and services, stability of prices and wages, and mobility of labor between occupations and localities. May 27,1944 The provisions for pensions for widows and children of veterans of World War I, who had a service-connected disability at the time of death, were extended to widows and children of World War II veterans; and pensions or compensation for service-connected disability were increased by 15 percent for World War I, World War II, and certain peacetime cases. May 29,1944 Michigan added a provision for dependents’ allowances to its State unemployment insurance law; only one other jurisdiction (D.C.) had included such provision in its original law. June 7, 1944 The Eighth Circuit Court of Appeals held that a beneficiary who served as a member of the executive committee of a corporation was an employee and that his benefits were subject to deductions when his wages exceeded $14.99 monthly. June 22, 1944 The G.I. Bill of Rights, the Serviceman’s Readjustment Act of 1944, was approved. It included provisions for education and training allowances, special placement services and readjustment allowances while the veteran was finding employment. June 27, 1944 The Social Security Board revised its policy in connection with reopening the determinations of benefit awards, and limited the conditions under which favorable determinations could be reopened and corrected retroactively. July 1, 1944 Title VI of the Social Security Act was repealed by the Public Health Service Act, which also expanded Federal-State public health programs, and raised the annual amount for grants for public health services. August 1, 1944 Canada enacted the Family Allowances Act of 1944. The law, which became effective on July 1, 1945, provided family allowances for all dependent children under age 17, to be paid from general revenues and without a means test. This was the first of the comprehensive social security proposals for an extended program to be established. August 14, 1944 One million old-age insurance benefits were in force. September 25, 1944 The British Government published a White Paper on Social Insurance. The program, which represented the Government’s recommendations for effecting most of the proposals set forth in the Beveridge Plan, would extend the scope of the existing system by increasing all existing types of benefits and by covering on a compulsory basis, the entire population. The Government offered a comprehensive program of social insurance, supplemented by family allowances, and an allied system to cover the risks of disablement and death through industrial injury. October 3, 1944 The War Mobilization and Reconversion Act of 1944 amended the Social Security Act by establishing a Federal unemployment account in the Unemployment Trust Fund and added Title XII, providing for advances to State unemployment funds when the funds approached insolvency. October 9, 1944 Venezuela’s program of health, maternity, and work accident insurance began operations. October 31, 1944 The Social Security Board authorized the recalculation of the average monthly wage after adjudication, at the request of a primary beneficiary, to include additional wages for services performed subsequent to the original award. November 22, 1944 In Argentina a law was passed establishing old age, disability and survivors insurance for commercial employees. December 16, 1944 The old-age and survivors insurance contribution rates were frozen for 1945 at one percent each for employers and employees. December 28, 1944 A Belgian legislative order improved the existing social insurance system and established a compulsory sickness and invalidity insurance system, to come into full operation April 1, 1945. January 6, 1945 President Roosevelt in his State of the Union message again made reference to the right to “good medical care” but made no specific recommendations. January 16, 1945 The Bureau of Old-Age and Survivors Insurance opened the Wilkes-Barre, Pennsylvania office. February 13, 1945 Greece initiated an experimental unemployment insurance fund for wage earners and salaried employees in industry. March 26, 1945 The House Ways and Means Committee voted funds for a study of the Social Security Act, with particular reference to old-age and survivor’s insurance and related problems of coverage, benefits and taxes. The Ways and Means Committee appointed a Technical Staff for the purpose of developing information looking to a revision of the Social Security Act. March 28, 1945 A deficiency appropriation bill signed by the President included the Case Amendment, which provided that certain wages paid to recipients of old age pensions should not be deducted from their allowance, in order to allow them to engage in part-time nursing. April 25, 1945 A government decree regulating the application of social insurance in Paraguay was amended to extend medical, surgical, pharmaceutical, and hospital services, including medical care before, during, and after childbirth, to families of insured persons. April 30, 1945 The Social Security Board’s Regulation No. 3 was amended to allow a primary insurance beneficiary to have his benefits recomputed to include wages paid to him in and after the quarter in which he became entitled. May 7, 1945 The Organic Law of Social Services was adopted in Brazil. It was intended to provide all persons in the country, except public employees and members of the armed forces, with all essential social insurance benefits and assistance services. May 28, 1945 President Truman called on Congress to widen the coverage of unemployment compensation to include Federal employees, maritime workers, and other workers; their benefits to be financed by the Federal Government but administered by the States. Also, he recommended that Congress supplement, out of Federal funds, existing benefit provisions up to a maximum of at least $25 for a claimant with dependents, and for as much as 26 weeks for workers who remained unemployed. June 15, 1945 Payment of cash allowances to British families “for the benefit of the family as a whole” was assured with the enactment of the Family Allowance Act. June 30, 1945 A presidential decree, effective January 1, 1946, established compulsory social insurance in Colombia for public salaried employees and wage earners. July 1, 1945 The work day for Social Security Board employees was reduced to 44 hours; 8 hours per day and 4 hours overtime on Saturdays. July 1, 1945 The Unemployment and Sickness Benefits Act came into force in Australia. July 3, 1945 The Labor-Federal Security Appropriation Act, 1946, provided that jurisdiction over employment services should be returned to the States within three months after the cessation of hostilities. July 18, 1945 The Senate confirmed the reappointment of Arthur J. Altmeyer as Chairman of the Social Security Board for a six-year term expiring August 13, 1951. July 19, 1945 The Lord Mayor of Berlin announced a new social insurance system for the inhabitants of Berlin with protection against the risks of old age, invalidity, and unemployment and provision for hospital insurance and free medicines for the insured. Both employer and employee would contribute ten percent of the employee’s earnings to the city insurance fund. August 1, 1945 A resolution (SJ Res. 89) recommending formation of an international health organization was introduced by Senators Pepper, Ball, Capper, Murray, Smith and Wagner. August 8, 1945 A bill was signed authorizing Federal agencies to provide minor medical and dental services to employees. September 5, 1945 The Social Security Board approved a proposal to terminate on June 30, 1946, the program for aid to enemy aliens and others restricted by governmental action. September 6, 1945 President Truman, in a special message to Congress, proposed an Economic Bill of Rights containing certain rights which were to be assured to every American citizen, including the Nation’s health objectives. September 14, 1945 Paul McNutt, the administrator of the Federal Security Agency, left to become High Commissioner of the Philippines. September 19, 1945 The War Manpower Commission was terminated and all its functions were transferred to the Department of Labor. This included the United States Employment Service. September 20, 1945 The Veterans’ regulations were amended to provide increased rates of pension for certain service-incurred disabilities, generally on a parity with rates payable for similar disabilities under the World War I Veterans’ Act, 1924, as amended. October 2, 1945 The Social Security Board approved amendments to Regulation No. 3, extending the period for filing proof of parents’ dependency under Section 202(f), for filing a lump-sum death payment claim under Section 202(g), and for commencing wage discrepancy proceedings under Section 205(c) in certain types of cases in which the wage earner or claimant was a serviceman. October 11, 1945 Watson B. Miller was confirmed by the Senate to succeed Paul V. McNutt as Federal Security Administrator. Mr. Miller had served as Assistant Administrator since early in 1941. October 16, 1945 The Social Security Board approved the establishment of an Area Office in Kansas City and agreed to recommend redistribution of area office territory, which would necessitate changing the location of the New Orleans office. October 23, 1945 The Internal Revenue Code and the Social Security Act were amended to extend coverage to all employees of the Bonneville Power Administration who were not covered under the Federal Civil Service Retirement Act and had no retirement protection. October 29, 1945 The American Military Government announced restoration of a broad program of social insurance in Western Germany. November 8, 1945 The Bureau of Old-Age and Survivors Insurance contribution rates were frozen for 1946 at one percent each for employers and employees. November 13, 1945 The United States Supreme Court ruled that the Better Business Bureau (D.C.) was not exempt from paying social security taxes. November 19, 1945 In a special message to Congress, President Truman proposed a comprehensive, prepaid medical insurance plan for all people through the Social Security system. The plan would have covered doctors, hospital, nursing, laboratory and dental services for people covered by the Social Security program; it would also have provided benefits financed from Federal Revenues for needy people. A revised Wagner-Murray-Dingell Bill providing for National Health Insurance was immediately introduced. December 21, 1945 The Civil Service Retirement Act of 1930, as amended, was further amended to provide retirement credit, in computing length of service, to persons who left Government service to enter the armed forces of the United States. December 29, 1945 The International Organizations Exclusion Act extended certain privileges, exemptions, and immunities to international organizations and to the officers and employees thereof. The act amended Title II of the Social Security Act. December 31, 1945 Executive Order No. 9672 terminated the National War Labor Board.1946 The Committee for the Nation’s Health was organized to promote the passage of the Wagner-Murray-Dingell Bill. 1946 The Health Insurance Council was formed by eight trade associations in the insurance field to serve as a liaison agency between the dispensers of health services, such as physicians and hospitals, and the underwriters. 1946 The Association of Medical Care Plans, with the Blue Shield as an emblem, was created as a national coordinating agency for physician sponsored health insurance plans. January 17, 1946 The Social Security Technical Staff of the House Ways and Means Committee presented its report (Issues in Social Security) on necessary amendments to the Social Security Act. The results of this staff study were embodied in a document generally referred to as the Calhoun Report. February 25, 1946 The United States Supreme Court ruled that back pay awarded, under the National Labor Relations Act, to an individual who was, before his discharge, an employee under the Social Security Act must be treated as “wages” under the act computing the individual’s old age and survivors insurance benefits. March 5, 1946 California became the second State to pass a law for cash sickness benefits to workers covered by the State unemployment insurance law. April 1, 1946 The Kansas City Area Office, part of which was split off from New Orleans, opened. May 3, 1946 The Taft-Smith-Ball Bill, S. 2143, authorizing grants to States for medical care to the poor was introduced as an alternative to the administration bill. The bill was endorsed by the American Medical Association. No action was taken on this bill. June 11, 1946 Congress passed the Administrative Procedures Act on to provide for judicial review of the actions of administrative agencies. June 21, 1946 The United Nations Economic and Social Council established a permanent Social Commission. June 28, 1946 The Social Security Board approved a change in the name of the Alaska and Hawaii offices from “Territorial” to “Regional,” and designated Alaska as Region XIII and Hawaii as Region XIV. July 3, 1946 The National Mental Health Act authorized the establishment of a National Institute of Mental Health and increased Federal grants to States for public health services, with special emphasis on mental health problems. July 16, 1946 Under the President’s Reorganization Plan No. 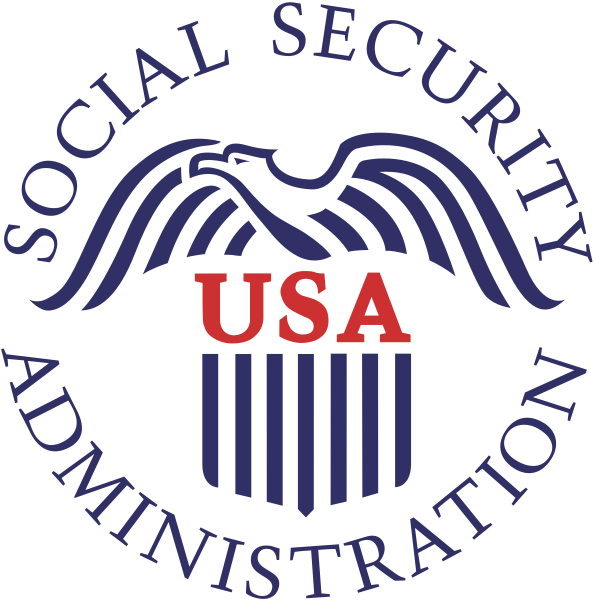 2 of 1946, the Social Security Board was abolished and its functions transferred to FSA and the Social Security Administration was established to carry on programs of the Social Security Board and those of the Children’s Bureau. The Children’s Bureau (then in the Department of Labor) was transferred (except for its child labor functions) to the Federal Security Agency by the same plan. The Office of the Commissioner for Social Security was established and Arthur J. Altmeyer was named to the position. George E. Bigge, a member of the Board, was appointed the Director of Federal-State Relations in the Federal Security Agency. William L. Mitchell became the Deputy Commissioner of Social Security. Ellen S. Woodward, the third member of the Board, was appointed to head Inter-Agency Relations in the Federal Security Agency. July 22, 1946 The constitution of the World Health Organization was signed by representatives of 61 nations. July 31, 1946 The Railroad Retirement Act and the Railroad Unemployment Insurance Act amendments established monthly survivor benefits and sickness and maternity benefits for employees in the industry. The Social Security Act, in effect, was amended by the provision making wages in railroad employment applicable for survivor benefits under the old-age and survivors insurance program. August 2, 1946 The Senate Committee on Finance was directed to make a complete study of the Social Security program and provisions for its extension. August 8, 1946 The Alien Property Custodian Coverage Act was approved. It amended Title II of the Social Security Act. August 10, 1946 The Social Security Act was amended to provide: monthly benefits under old age and survivors insurance for survivors of certain World War II veterans; coverage to private maritime employees under State unemployment insurance; temporary unemployment benefits to seamen with wartime Federal employment. In addition, permission was given States, with employee contributions under their unemployment insurance laws, to use such funds for temporary disability insurance benefits; there was to be greater Federal sharing in public assistance payments for a specified period; and larger grants were to be provided for maternal and child health and child welfare, as well as the extension of these programs to the Virgin Islands. In addition, the payroll tax rate was frozen at 1% for employers and employees for 1947. August 13, 1946 The Hospital Survey and Construction Act was signed. It authorized the Public Health Service to make grants to the States for surveying their needs for hospitals and public health centers, for planning construction of additional facilities, and for assistance in financing such construction. The program was known as Hill-Burton, after its two principal supporters. October 1, 1946 Increases in Federal financial participation of public assistance payments became effective. November 15, 1946 The public employment offices were returned to State administration and control, as directed by legislation enacted July 26. December 1946 The Interdepartmental Committee on International Social Welfare Policy was established in December 1946 by presidential order. The Commissioner for Social Security was requested to serve as Chairman, and the Director of the Bureau of Public Assistance as alternate chairman. December 1946 A further step in the administrative integration of all Bureaus within the Social Security Administration was taken with the consolidation of the regional staffs of the Children’s Bureau with the Administration regional offices on the same basis as the other Bureaus. December 1, 1946 Cash sickness benefits became payable in California. December 23, 1946 The United States Supreme Court ruled that a claim by the United States Government against a company for social security taxes had priority over a State’s claim for unemployment insurance contributions. December 26, 1946 With the adoption of Law 90 on Compulsory Social Insurance, Colombia joined the other nine South American Nations in enacting social security legislation applicable to commercial and industrial workers. January 1, 1947 Grants to States for maternal and child health and child welfare services went into effect in the Virgin Islands. February 10, 1947 The Birmingham Payment Center opened as a result of the closing of the New Orleans Office, part of which went to Kansas City and part to Birmingham, Alabama. February 20, 1947 Arthur J. Altmeyer was elected Executive Secretary of the Preparatory Commission for the International Refugee Organization. March 17, 1947 The Dominican Republic established a system of old-age, invalidity, health and maternity insurance. May 19, 1947 President Truman, in a special health message to Congress, again requested a compulsory national health program. Senate Bill 1320 was introduced by Senators Wagner and Murray. Senator Taft’s bill was also reintroduced. May 20, 1947 A survey committee, appointed by the Federal Security Administrator to study ways in which field coordination might be improved, submitted its report. June 1947 For the first time in the history of the program, the number of children receiving aid to dependent children passed the millionth mark. June 30, 1947 By concurrent resolution, Congress rejected the President’s Reorganization Plan No. 2 of 1947, in which he had proposed that the United States Employment Service be made a permanent unit in the Department of Labor. June 30, 1947 A bill was approved extending to July 1, 1949, the time in which income from agricultural labor and nursing service could be disregarded in making old age assistance payments. July 6, 1947 The Swiss people approved, by referendum, the establishment of a nationwide compulsory system of old age and survivors insurance. July 23, 1947 Senate Resolution 141, superseding Senate Resolution 320 (August 2, 1946) gave the Senate Finance Committee authorization and appropriation for investigating the Social Security program. The Committee was authorized to appoint an Advisory Council to assist and advise in the study. July 25, 1947 An act was approved terminating certain emergency and war powers, including amendments to Title II of the Social Security Act. July 30, 1947 Under Public Law No. 131, certain aged recipients of assistance could continue, until July 1, 1949, to work for wages on a farm or care for the sick without having such wages jeopardize their assistance payment. August 6, 1947 The Social Security Act was amended to hold old-age and survivors insurance contribution rates for employers and employees at one percent for 1948 and 1949 and to schedule increases to 1.5 percent each for 1950 and 1951, and two percent each in 1952 and thereafter. August 7, 1947 The President vetoed a bill that would have excluded from coverage under the insurance programs of the Social Security Act services performed by newspapers and magazine vendors. August 19, 1947 Oscar R. Ewing was appointed Federal Security Administrator. He succeeded Watson B. Miller, who moved to the position of Commissioner of Immigration and Naturalization. September 16, 1947 The Social Security Commissioner approved amendments to Regulation No. 3 to show July 25, 1947 as the date of the termination of World War II for purposes of paying benefits under Section 210 of the Social Security Act, as amended. September 28, 1947 A seventeen-member Advisory Council on Social Security was appointed by the Senate Committee on Finance to study proposals for expanding the Social Security program. October 1947 At a meeting in Geneva, Switzerland, the International Social Insurance Conference was renamed the International Social Security Association, (ISSA). December 1, 1947 The United States Employment Service was transferred to the War Manpower Commission, effective this date. December 16, 1947 The Senate confirmed the nomination of Oscar R. Ewing, of New York, to head the Federal Security Agency. February 28, 1948 The Civil Service Retirement Act was amended to include protection for survivors of Federal employees. March 1, 1948 Two social welfare attaches were appointed by the Department of State to the staff of the Foreign Service Reserve for service in Cairo and Paris. Among their functions was handling social security matters for beneficiaries living in those two countries. April 5, 1948 President Truman vetoed H.R. 5052, a bill to exclude vendors of newspapers and magazines from social security coverage. April 8, 1948 The 1947 Advisory Council on Social Security presented its first report, with recommendations on old-age and survivors insurance, to the Senate Finance Committee. April 13, 1948 Workmen’s compensation legislation became applicable nationwide, with Mississippi’s enactment of such a law. April 20, 1948 The Social Security Act was amended to exclude certain newspaper and magazine vendors from coverage under old-age and survivors insurance and under the Federal Unemployment Tax Act. Congress passed this law over the President’s veto. May 1948 The International Labor Organization established the Committee of Social Security Experts. The Commissioner of the Social Security Administration was a member from its inception. May 1-4, 1948 The National Health Assembly met in Washington, D.C., to work with the Federal Security Agency in developing a ten-year health plan for the nation. May 8, 1948 The Advisory Council on Social Security presented its second report, with recommendations for an insurance system to cover the risks of permanent and total disability, to the Senate Finance Committee. May 15,1948 Puerto Rico passed a law providing unemployment insurance benefits for workers in the sugar industry. May 1948 The American Medical Association launched a “National Education Campaign” against National Health Insurance proposals. June 1, 1948 New Jersey adopted a cash insurance law linked with unemployment insurance, but permitting the substitution of private sickness plans for coverage under the State plan. June 2, 1948 The Railroad Retirement Act was amended to increase certain retirement and survivor benefits, and the Railroad Unemployment Insurance Act was amended to reduce the employer tax through a system of merit rating. June 14, 1948 A House Joint Resolution, Number 296, was agreed to overriding the President’s veto of a measure to maintain the status quo on Social Security coverage pending action by Congress. June 23, 1948 Public Law 744 was approved. It increased railroad pensions 20 percent, yet reduced taxes on payrolls. June 24, 1948 Public Law 757 was approved. It increased certain benefits payable under the Longshoremen’s and Harbor Workers Compensation Act. June 30, 1948 The Appropriation Act for 1949 transferred the Field Division and Regional Offices of the Social Security Administration to the Office of Administration, FSA, effective July 1, 1948. July 1, 1948 The Social Security Administration’s Region VIII with headquarters in Minneapolis was eliminated. Supervision of the area was taken over by the offices in Chicago and Kansas City. The State of Minnesota was transferred to the Region with headquarters in Chicago–the new Region V. Supervision of the States of North Dakota, South Dakota, Nebraska and Iowa was transferred to the Region with headquarters in Kansas City. These last States, together with Kansas and Missouri, comprised the new Region VII. July 1, 1948 Requirements relating to definite procedural provisions for hearings under the State public assistance plans became effective. July 1, 1948 The United States Employment Service was transferred from the Department of Labor to the Federal Security Agency and then to the Social Security Administration where it became a part of the Bureau of Employment Security. July 2, 1948 The President used a pocket veto on a measure to permit aid to the blind recipients to earn up to $40 a month without becoming ineligible for aid. July 5, 1948 The comprehensive social security program, outlined in the Beveridge Report of 1942, went into effect for the people of Great Britain. July 29, 1948 The President approved Public Law 813 which transferred the administration of the Federal Credit Union Act from the Federal Deposit Insurance Corporation to the Federal Security Agency where it was placed within the Social Security Administration. August 5, 1948 The Advisory Council on Social Security presented its third report on recommended changes in public assistance to the Senate Finance Committee. September 1, 1948 The San Antonio Regional Office was moved to new headquarters in Dallas. October 1, 1948 Public Law 642 was approved: an act to maintain the status quo in respect to certain employment taxes and Social Security benefits pending action by Congress on extended Social Security coverage. December 28, 1948 The Advisory Committee on Social Security presented its fourth and final report, on improving the State-Federal system of unemployment insurance, to the Senate Finance Committee. 1948 UAW-CIO appointed a Social Security Advisory Committee and a Medical Care Advisory Committee. 1948 The National Labor Relations Board ruled that pension, health and welfare plans were within the scope of collective bargaining. These rulings were sustained by action of higher courts in 1949. January 5, 1949 In his State of the Union Message, President Truman again called for compulsory national health insurance for persons of all ages, financed by a Federal payroll tax. January 12, 1949 The Commission on Reorganization of the Executive Branch of the Government (the Hoover Commission) recommended the creation of a Department to handle Social Security, education and certain welfare services. February 28, 1949 The House Ways and Means Committee began hearings on H.R. 2892, an amendment to the Social Security Act designed to aid the States in establishing more adequate public welfare programs. March 16, 1949 A legislative proposal for the construction of a new building for BOASI was sent to Congress by the acting Federal Security Administrator, J. Donald Kingsley. April 13, 1949 The New York Disability Benefits Law was enacted with benefit payments effective on July 1, 1950. April 15, 1949 Public Law 42 was approved by the President. It authorized appropriations for the Federal Security Administrator to meet the emergency needs of crippled children for fiscal year 1949, in addition to funds authorized under the Social Security Act. April 22, 1949 In another special message, President Truman called for National Health Insurance. May 16, 1949 The names of all organizational units in the Social Security Administration below the divisional level were changed. In general, the former sections became branches, units became sections and sub-units became units. May 31, 1949 The Flanders-Ives Bill providing for health needs by the use of Federal subsidies to private insurance companies was introduced in Congress. June 20, 1949 The President signed the Reorganization Act of 1949 under which he could reorganize agencies of Government unless either House rejected within 60 days a specific plan submitted to it. June 20, 1949 President Truman sent to Congress the Reorganization Plan No. 1, proposing to elevate the Federal Security Agency to a Cabinet-level Department of Welfare and to vest all functions of existing Federal Security Agency units directly under the new Secretary of Welfare. It was not accepted by Congress. June 30, 1949 The emergency maternity and infant care program administered by the Children’s Bureau in cooperation with the State Health Departments came to an end. July 16, 1949 The President signed Public Law 174, extending for one year to June 30, 1950, reconversion and unemployment benefits for seamen provided by Title XIII of the Social Security Act. August 15, 1949 H.R. 6000 (the Social Security Act Amendments of 1950) was introduced by Representative Doughton. August 20, 1949 The Bureau of Employment Security (which included the United States Employment Service) was transferred from the Social Security Administration to the Department of Labor by Reorganization Plan No. 2. October 25, 1949 The President signed Public Law 376, amending the Federal Credit Union Act. Under the amended law the permissible maximum period of loans was increased from two years to three years, and the permissible maximum unsecured loan was increased from $300 to $400. November 7, 1949 Multilateral conventions on social security and social assistance were signed by the foreign ministers of Belgium, France, Great Britain, Luxembourg and the Netherlands. December 1, 1949 The Federal Security Agency sent a delegation to study the educational, health and Social Security systems in Britain, Ireland, Sweden, Switzerland, Italy and Israel. December 1, 1949 An agreement for the reciprocal payment of old age pensions for citizens of Denmark, Finland, Iceland, Norway and Sweden went into effect. How to Cite this Article (APA Format): Social Security Administration (2015). Chronology: 1940s. Retrieved (date accessed) from http://www.ssa.gov/history/1940.html.